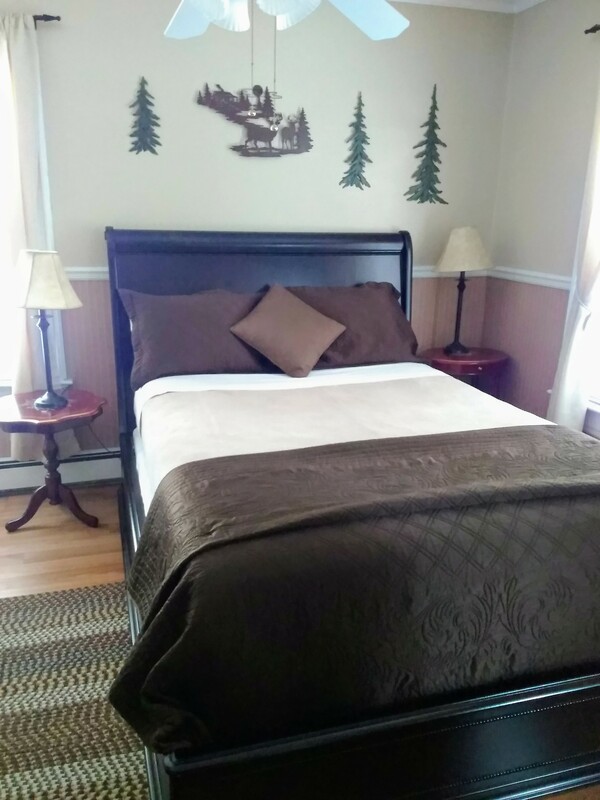 This room is decorated in a mountain cabin theme and features a Queen size bed. 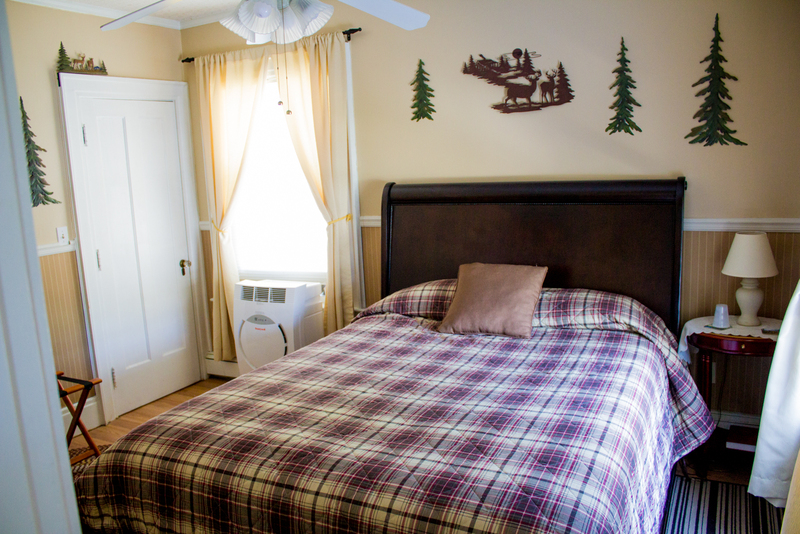 It is situated in the back left side of the Inn, on the second floor, away from the main road. 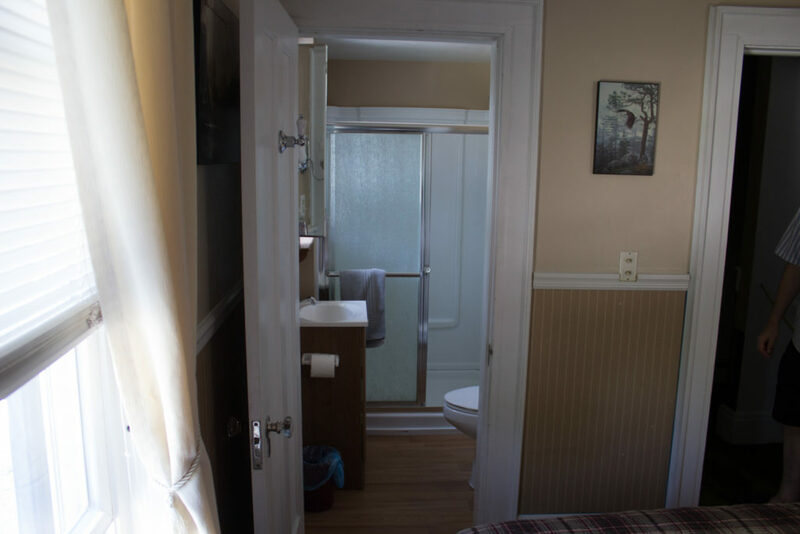 This room has a private bathroom with a walk-in shower.